“ ‘Desolation will be so great and chastisements so terrible as for many a one to dry out from being frightened and think the end of the world is up.’ . . .
“ ‘Yes, I will have mercy on the good people; but the other ones I will engulf them. The earth will open ajar and they will disappear forever.’ ” ([Scribed by] Mme Grégoire – January 4, 1884). [Source: pp. 238 – 240, Prophecies of La Fraudais ]. Christ’s suffering is very heavy as He speaks to us in this prophecy: ‘I did everything on behalf of My people’. Yes, He even died a horrible unwarranted crucifixion for us, so that we could have the chance to go to Heaven and be with Him for all eternity. 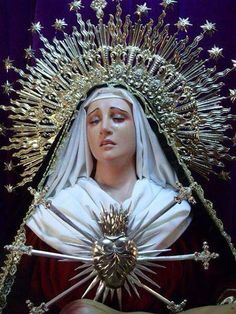 How much pain this indifference to Christ must cause our Holy Mother, who knows how much her Son, our Lord, suffered for our salvation. She only wants us to love Him and go to Heaven. Her apparitions have been to help us, but few souls will take her words to heart. These victim souls are “lightning rods” who absorb [appease] the Wrath of Almighty God so that it does not fall upon the people. However, in this prophecy, Christ reveals to Marie-Julie that He will only give us a finite number of victim souls. Once these victim souls have all lived out their lives and returned to God, He will “destroy everything on earth”. Do we know what this crisis is? Is it political in nature, so that it results in devastating nuclear/biological/chemical warfare? Is it ecological in nature, so that it comes from a large solar flare or from a large asteroid colliding into us? We do not know. These Chastisements are to bring people back to goodness, back to living holy lives, as children of God should. But sins are so prevalent among all people that “they deserve [God's] Justice.” And we really do, don’t we? For those living in the northern hemisphere, summer is at its height and everyone is busy with gardens, family, and looking for those peaceful moments of warmth and rest; in a word, the beauty of summer. Christ has told his Apostles that those who are not with Him are against Him (Mt 12:30). The sedevacantist position is against Christ because it denies the dogmatic belief of the perpetuity (continuity) of the Papal Line. The novus ordo position is also against Christ because it does not recognize that the antichrist has the seat in Rome, as our Holy Mother warned us in the apparition of La Salette. Both the sedevacantist and novus ordo positions are against Christ because they are against His True Vicar, Pope Gregory XVIII, who was elected through Pope Gregory XVII's cardinals in the conclave after this Exiled Pope's death. As always, the battle for souls seeks to tear them away from their one means of salvation: the Holy Father and His Church. However the enemy can, he and his minions will muddy the waters so that people cannot see clearly. And this is a tragedy for these souls if they die in this state, outside of Holy Mother Church. So our lightning rod, our dear friend and God's victim soul, Marie-Julie, has interceded for us and appeased God's Just Wrath. We, sorry sinners that we are, are to be spared! May Christ always give us the graces we need so that we do not offend Him, and may our dear friend, Marie-Julie Jahenny, continue to intercede for us!